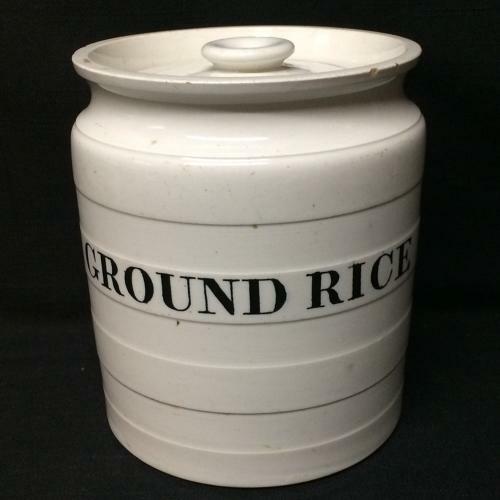 Edwardian storage jar with correct lid transfer printed in black. Great engine turned incised banding and flared top. 6 inches tall x 5 1/4 inches wide wide. Heavy and sturdy size. Great Condition with several small nibbles to the rim.